To say the last two years in the cattle business have been interesting is an understatement. We have gone from record losses to record profits. Last fall, everywhere I went, people said “There is no way to make money feeding cattle at these prices.” The prevailing thought was “SELL THEM. Don’t pass go, take the money, don’t hesitate, SELL THEM NOW!” Conventional coffee shop, off-the-cuff wisdom is seldom based on fact. As I write this update, we have data on three pens of QB cattle. Below is a summary of some important numbers from those pens. As I analyze the data, several things jump out at me. First, in all pens the most profitable cattle graded prime. Quality grade was the main profit driver for all three pens. Second, the variation within the pens was very significant. There are gross sale differences of $1,052.31, $1,005.80 and $602.71. There are profit differences top to bottom of $788.74, $602.09 and $459.25 in their respective pens. Knowing and having the data to make good decisions has value. Identifying the cattle in the top third and the bottom third of both of these pens has tremendous potential. Implementing this information into your genetic selection process means more long term profits for your operation. Tying this data to individual cows and sires becomes a must do task. Taking the time to gather the cattle records to do this will be the biggest financial return on your time you will ever receive. I have visited all the QB participant operations. The one thing I will state without reservation is that everyone’s cattle are already at or near the top in the industry. I cannot think of a better time to find out how your cattle will perform in the feed-yard and in the packing plant. We have seen record profits the last five years in the row crop industry. What have the producers done with the profits? If you are in this category, what have you done with your profits? It has been my observation; row crop producers have invested the profits in new equipment, new technologies and better management practices. Certainly a good decision, so they are prepared when prices aren't so good. I will submit to you that now is the time for beef producers to do the same. We have several good years ahead of us. 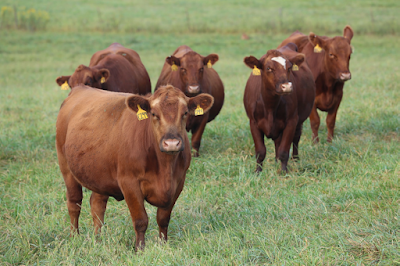 Discovering how your cattle perform and grade should be a top priority. Determining which cows are paying the bills and which ones are sending you a bill should be a top priority. This knowledge will serve you well now, when prices are high and even more when prices go down or costs go up. To those in the “no way you can make money” crowd, please study the data above. Look at the value differences within these groups of cattle. It’s an easy conclusion to come to, that your target should be fast efficient gaining cattle that grade prime. First, you have to find out how many cattle you have that are already hitting that target and the correlating sires and dams. Second, determine the ones that are not performing and let someone else own them. You will be rewarded for the effort. We currently have 14,000 cows enrolled in the QB program. We have harvested three pens of cattle and as of this writing there are seven more pens in the feed-yard. Everyone with fall calves should be thinking about placing those cattle this summer or early fall. Breeding season is a good time to compile your cow list. Calving is over for some and some are just starting. 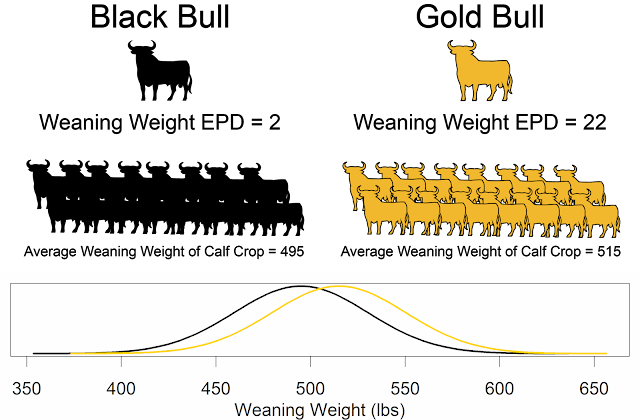 Now is the time to compile calving lists and calving data. Email me for a copy of all the data collection forms QB offers. I suggest duplicating the forms. If you do not have the resources to duplicate, I’m happy to mail you more copies. On a closing note, I want to propose something for you to think about - If the same person keeps coming back to buy your cattle every year, DO THEY KNOW MORE ABOUT YOUR CATTLE THAN YOU DO?